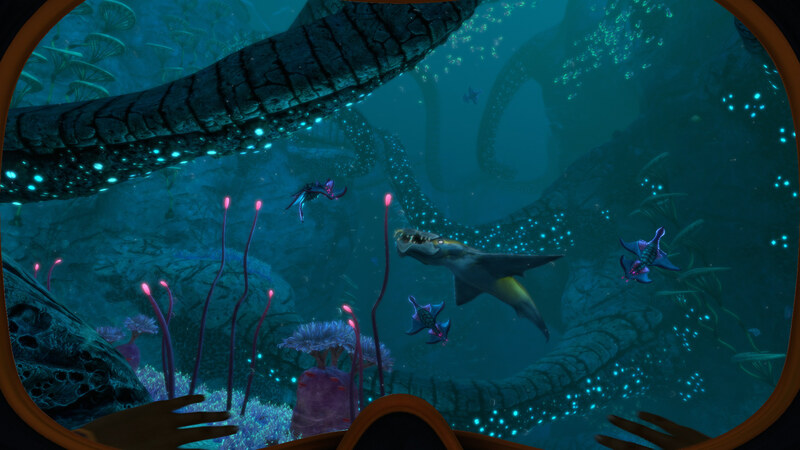 Those who have plumbed the depths of Subnautica‘s oceans will have some chilly new waters to explore very soon. Standalone expansion Subnautica: Below Zero launches on Steam, Discord and the Epic Store on January 30th, albeit in early access. There’s frosty new biomes to survive, strange new alien flora and fauna to eat (or be eaten by) and more to do on the surface. There’s even going to be alien penguins (called Pengwings – yes, really), which would be adorable if a quarter of their body wasn’t an enormous, vertical spike-lined clam shell. This time, players control a scientist sent to investigate alien artifacts. Naturally, things take a turn for the disastrous, leaving you isolated from the orbital station that would support you, and forced to scavenge, hunt and rebuild. Still, it shouldn’t’ be quite as stressful this time if you got a handle on the rhythms of gathering food, oxygen and materials last time round. From what little they’re mentioning on the official pages, we’ll be delving a little deeper into the alien race who left so much below the waves, and the organisations trying to research their technology – this time there’s more to worry about than your own well-being. Thanks to sharing a lot of foundation with the original Subnautica, Below Zero won’t be in early access for as long, but Unknown Worlds still reckon it’ll take at least one year to finish. The initial release is going to be pretty brief story-wise (estimated at around an hour or two of things to do, fully voice acted), but the early-game areas will be detailed and explorable. Unknown Worlds do warn that the game won’t run as well as the original Subnautica at first, so expect frame-rate dips, but that should improve over time. They plan on expanding the game outwards and deeper downwards over the course of early access. More vehicles are on the way, including a hoverbike to explore the planet’s icy surface. The road to Below Zero’s final launch should be a smoother ride this time round, at least compared to the original’s lengthy stay in early access, and Unknown Worlds plan on bumping up the price a little – 25%, they say – at launch. The first early access version of Subnautica: Below Zero launches on January 30th, 6pm GMT. It’ll cost £15.49/€16.79/$19.99, and be available on Steam, Discord (no store page yet, sorry) and the Epic Games Store. Unknown Worlds will stream the game live and debuting a launch trailer on the day via YouTube and Twitch. Tagged with Unknown Worlds Entertainment, Subnautica, Subnautica: Below Zero.